For those seeking the best SSAT prep in Connecticut, The Learning Consultants quickly emerges as the go-to place for those in the know. Daryl Capuano, the founder of The Learning Consultants, has more experience teaching the SSAT and helping students attain top results than anyone in Southeastern, CT. Other teachers such as Steve Staunton in Fairfield and Jesse Brockwell in Old Saybrook are quickly emerging as equals. The Country School in Madison, CT has retained The Learning Consultants to run its SSAT classes for the last several years. Given The Country School’s reputation as the best K-8 independent school in our area, this alone is testament to The Learning Consultants being the best provider of SSAT prep in our area. 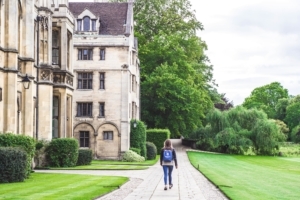 The admissions process for elite boarding schools and top notch private schools in Connecticut and Massachusetts as well as other New England independent schools is not only challenging but also more mysterious than the admissions process to other educational venues. Admissions officials privately confess that determining the strength of younger applicants based on their grades in elementary and middle school is extraordinarily difficult. Most strong students have straight As. Grade inflation has exacerbated the issue. But, it has always been the case that larger numbers of 6th graders (and 7th and 8th graders) have near 4.0 GPAs compared the numbers of older students with such GPAs. Further, many elementary and middle schools do not have conventional grading systems but rather idiosyncratic ones with minimal focus on numbers and maximum focus on comments. This may be helpful from the perspective of educational philosophers but it makes deciphering transcripts quite difficult. In addition, the strength of elementary schools not only varies considerably more than the strength of high schools but also the quality of individual elementary schools is not nearly as well known as the quality of individual high schools. For example, college admission officials are keenly aware of the strength of Andover, Exeter, Groton, Hotchkiss, Choate and Hopkins but admissions officials at those schools have far less awareness of even the strongest elementary schools in the country. Many parents seem to think that their children are uniquely awesome. Most seem to forget that every elementary school has a best musician, top athlete and class president. As for other subjective factors, most parents think their child will excel during the interview process. It is not surprising that parents naturally overrate the objective interpersonal skills of their children. It is curious, however, that most adults drastically underestimate the element of luck inherent to the interview process. Your child might have the great fortune of having a personality or interests that match well with a particular interviewer. Or, your child – even if possessing excellent interpersonal skills – might have the bad fortune of being interviewed by someone who simply is an interview mismatch. We all have had interview experiences that were either blessed with the good fortune of having an interview click due to the fit with the interviewer or cursed with bad luck of simply not being able to connect with the interviewer. The same phenomenon occurs for children in this process. As for activities, most applicants to top schools will have participated and held leadership positions in the garden variety activities that permeate elementary school. The only applicants that really stand out are the “special talents”, typically those with exceptional athletic ability and, to a lesser degree, those with exceptional musical or creative abilities. This preamble provides the foundation for the claim that the SSAT really does matter a great deal since it is the only objective comparison that admissions officials have when comparing applicants. And, sad to say, but it matters more than most admissions officials will relay. As is the case with college admission representatives, private school officials want to maximize the number of applicants as it makes the school appear more selective. Telling students not to apply due to low test scores is simply not in the interest of the school. And, cynicism aside, some applicants gain admission to top schools despite low test scores. However, upon digging deeper, at least in every case that we have seen, the applicant had a compelling “hook” such as a special talent, relation to a VIP, diversity, or extraordinary story. Unless your child has one of those, the SSAT will go a long way to improving admission odds. What can The Learning Consultants do to help? We teach content. Our work with students differs from other SSAT tutoring organizations in Connecticut – particularly franchises – in that our teachers are often supplementing the actual education of our students. Parents will often ask if “we are teaching how to take the test”. Yes, of course, and we elaborate under the next section on technique. But, our mission is to educate each student to help him/her reach his/her potential. In terms of SSAT prep, this includes teaching our students how to read better, how to build vocabulary, and how to master math fundamentals. Our clients will often express delight that we have not only helped bolster the score of their children but that we also helped to educate them so that they both have more knowledge and so that they will perform better in school. Much like any skill, SSAT excellence depends upon understanding and applying a set of “best practices”. We impart strategies that help our students approach the reading, vocabulary, and math sections more effectively. We inspire our students to self-study: Some test-prep work requires self-study. Vocabulary building is one obvious area. It is simply more efficient for students to study vocabulary words on their own. We do provide a system for doing so and provide a method to monitor and hold the student accountable. But, more importantly, we have unique ways designed to motivate our students. Parents will report that they are delighted that they no longer need to nag their children after working with us. Individual preparation: We certainly believe that classes work wonderfully well as an educational framework. But, for the SSAT, we believe that individual coaching is superior. Why? The vast difference in both age and ability of student requires a more customized approach. Unlike the SAT where the students are either in the same grade or a grade apart, SSAT students vary in age. Further, the differences in knowledge are more different due to the rigorous nature of some elementary schools and the uneven quality of others. Connecticut SSAT Prep: Due to our geographic area, we are highly knowledgeable about private schools and SSAT scores needed for admission at private schools both in Connecticut and at private and boarding schools that are our Connecticut client base.